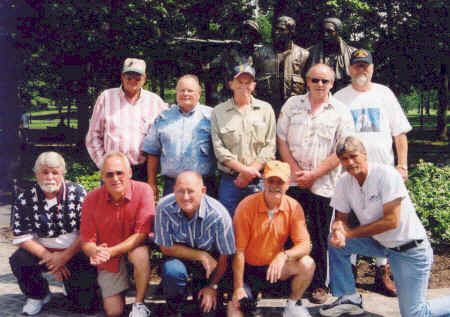 The 2005 Tracker Reunion was held at Fort Benning and hosted by Ken Goss with able assistance from Dixie Whitman and members of The German Shepherd Club of Atlanta. Jesse Mendez delayed official Memorial Day activities at the monument to coincide with our get-together. Thanks to all for your hard work. 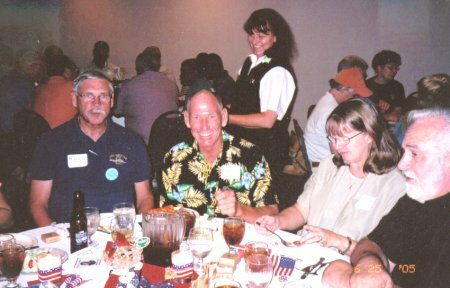 Photos on this page are from Bob Baker, Norm Shaw and Estel Matt. Jesse Mendez speaks during the ceremony. The Tracker plaque and pedestal were rededicated. Current MWDs (Military Working Dog) and their handlers were present. Thanks Ken for doing a great job with the reunion! 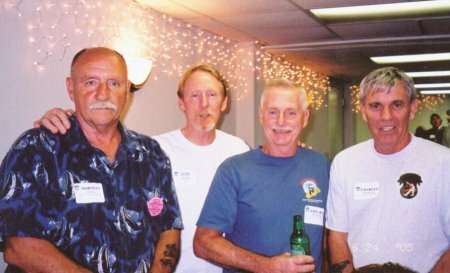 .Norm Shaw, Tom Dodd, Ed Wheeler and Chuck Steward. Big Red One Trackers all. 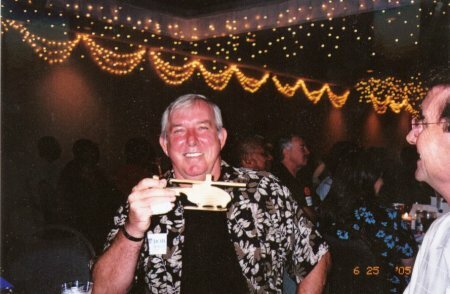 W2 Bob Baker takes his new ship for a spin as John Wagaman looks on. 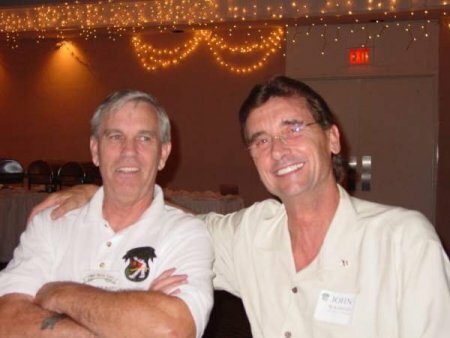 Chuck Steward and John Wagaman. John Wagaman, Ed Wheeler, Tom Dodd, DeWitt Roberts and Julian VanDyke. 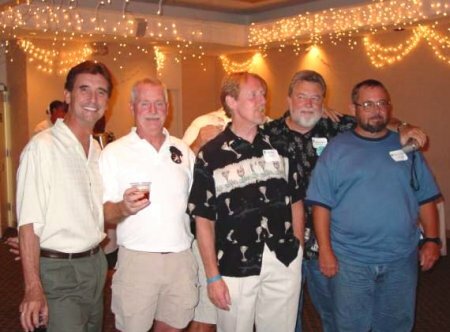 Bottom Row left to right: Estel Matt, David Bodle, Bill Casey, Dean Harwood, Steve Barton Both Estel Matt and Steve Barton were also at Fort Benning. A busy month indeed!